As the longest running music show on TV enters its 40th season, Austin City Limits has announced its second installment of inductees into its Hall of Fame founded in 2014. Joining the inaugural inductees from 2014 that included Willie Nelson, Stevie Ray Vaughan & Double Trouble, steel guitar player and producer Lloyd Maines, show creator Bill Arhos, and Texas University football coach and ardent music supporter Darrell Royal, 2015’s class will include country queen Loretta Lynn, legendary Texas songwriters Townes Van Zandt and Guy Clark, Texas swing stalwarts Asleep At The Wheel, and conjunto accordion player Flaco JimÃ©nez. The inductees will be honored in a ceremony in June at ACL’s Moody Theater in downtown Austin featuring all-star music performances. 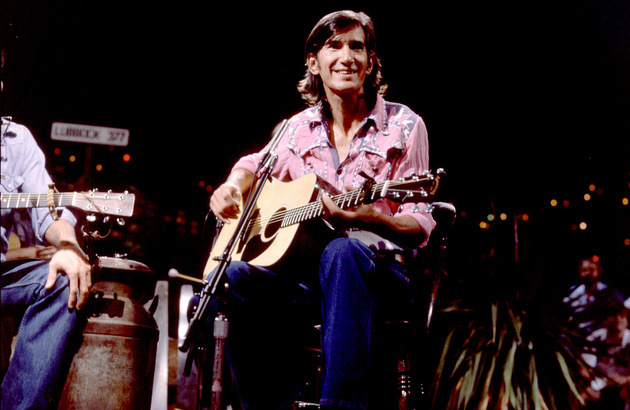 Townes Van Zandt and Guy Clark, who both performed on the show multiple times, symbolize the very heart of what makes Austin, TX an epicenter for some of the best songwriters American music has ever heard. Flaco JimÃ©nez, who also has appeared on ACL multiple times, embodies the diversity of Texas music and the importance of musicianship as well as performance. And the inclusion of Loretta Lynn shows that from the beginning, Austin City Limits was not just about capturing the rich textures of Texas music, but honoring the legends that influenced it. The original crew of the Austin City Limits show will also be honored as the 2015’s non-performing inductee. As part of the Hall of Fame announcement, it was also revealed that Sturgill Simpson, The War On Drugs, and a special Bob Wills tribute comprised of Asleep At The Wheel and The Avett Brothers among others will be part of upcoming season 41 tapings. Good to see Townes Van Zandt, Guy and Loretta get recognized by ACL! And Red Volaert n’ his little band is rockin’ the Continental Club right now! Good to be back home on a rainy day! I really want to embrace the spirit of this institution, but I’m afraid in 10 years artists like Coldplay and The Shins will be inducted, regulating it just another music HOF.